At age 50 he had a vision of a lily being eaten by a horse, which he took to mean that his spiritual life was being taken over by his worldly life. With his wife’s consent, he decided to become a hermit in the Ranft gorge. 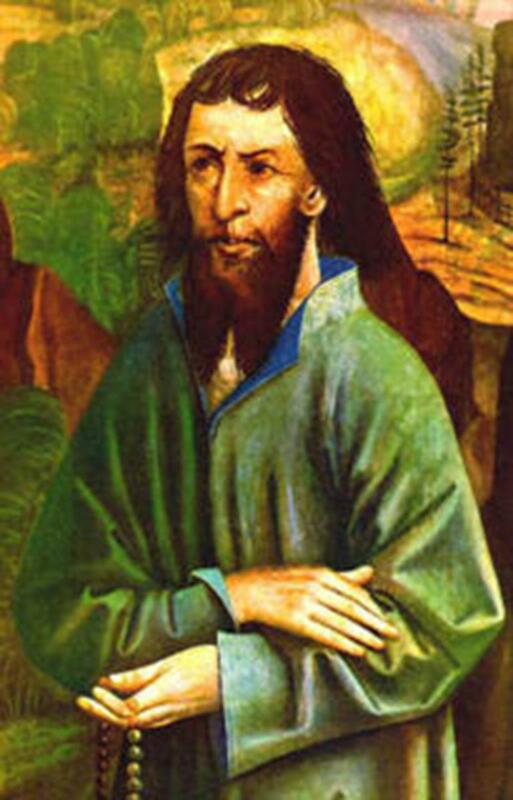 Legend has it that he survived for 19 years by eating nothing but his daily eucharist. Notables from throughout Europe came to the sanctuary to learn from the wisdom of the man who became known as Brother Klaus. Three years after establishing the site, Pope Paul II granted an indulgence to the site and it became a place of pilgrimage, located as it was on the Jacob’s Trail. There was a meeting of the various Swiss cantons in 1481 at the Diet of Stans that threatened civil war between the urban and rural areas. What is now Switzerland at the time was the Swiss Confederation, a loose federation of small states that banded together for 500 years. A priest named Heini am Grund visited Klaus to solicit his advice to prevent the dissolution. The advice was relayed to the group and they reached a compromise that retained the union. Brother Klaus’ advice prevented the war, although no one has since discovered what advice he gave. He is honored by Swiss of all religions for keeping Switzerland as a united nation. Klaus died in 1487 and was beatified in 1669, after which the city of Sachseln honored him by building a church, where he is buried. He was canonized by Pope Pius XII in 1947 and is the country’s only saint. Saint Nicholas’ feast day is March 21, except in Switzerland where it is Sept. 25. Brother Klaus’ hometown of Flüeli-Ranft today is a pilgrimage site located between Interlaken and Lucerne. The site includes his original hut from the 1400s as well as a chapel that was rebuilt in the late 1600s with pictures depicting his life and a second chapel containing 16th century fresco paintings. His family home in the village can also be visited and its furnishings mirror the medieval era. There is also a meditative hiking path that leads from his birthplace to the tomb chapel near the parish church. The town’s Hohe Brücke across the Melchaa River is considered Europe’s highest wooden bridge at 325 feet. The Pax Montana Hotel is built on terraces in Art Nouveau style and has been restored to maintain its historic stucco ceilings and wood paneling. The town is on the Route of St. James, called St. Jacob here. James and his brother John were apostles of Jesus. He is the patron saint of Spain. Legend is that St. James’ remains were shipped by boat from Jerusalem to Spain and buried at what is now the city of Santiago de Compostela. The city is considered by Catholicism as the third holiest city in the world after Jerusalem and Rome. For more than 1,000 years, the pilgrimage from Western Europe to Spain has been one of the most important Christian pilgrimages. The route was heavily traveled during the Middle Ages, but the Black Plague led to its decline. It has become more popular during modern times and the route is a UNESCO World Heritage Site as well as the first European Cultural Route declared by the Council of Europe. The Jacob’s Trail through Switzerland leads to Zurich, Lucerne, Interlaken, Bern, Freibourg, Lusanne and Geneva. It is tradition to finish the Swiss section of the trail with a cruise from Lausanne to Geneva. Ulrich Zwingli was a leader of the Reformation in Switzerland. He became a pastor in his native Zurich in 1517 and preached against fasting during Lent and against corruption in the church hierarchy. His church still stands as does his legacy through the confessions, liturgy and orders of Reformed churches today. 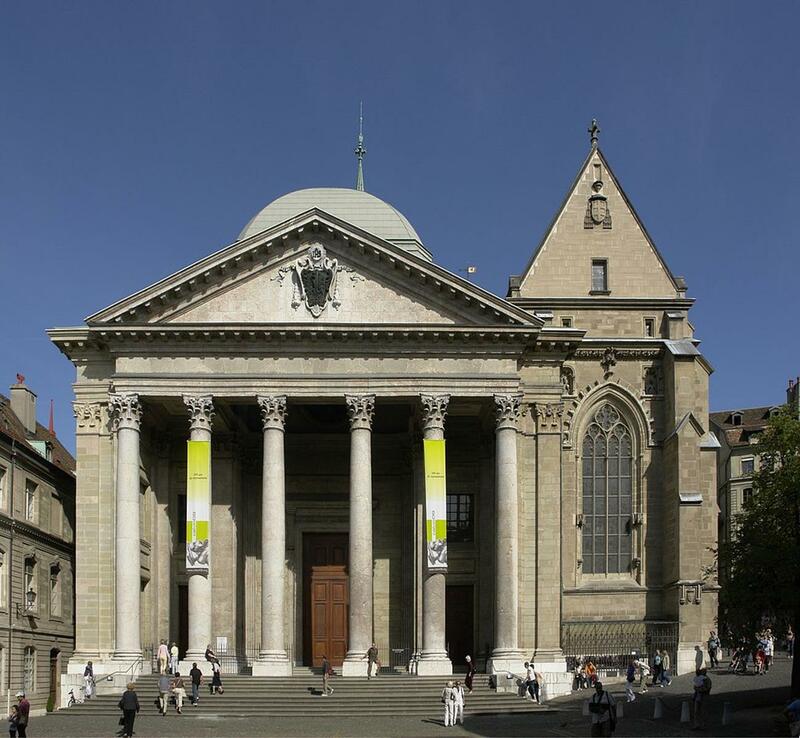 The Reformation spread throughout the Swiss Confederation, and it was a minister from Geneva who convinced John Calvin, a French priest, to relocate to Geneva to organize the Reformed Church. Calvin adopted the philosophy of Martin Luther and attracted preachers from around the world to the city where he remained for the rest of his life. John Knox, who brought Protestantism to Scotland, was here. Heinrich Bullinger succeeded Zwingli in Zurich and influenced the Reformation in England. Pierre Viret led the Reform movement in France, and Theodore Beza succeeded Calvin and became the first rector of Calvin College here. Geneva today is the headquarters of the World Council of Reformed Churches. Geneva contains many sites from the Reformation period. St. Peter’s Cathedral is where Calvin preached Protestantism. Calvin’s Auditorium is the site where Calvin and Knox taught theology. Calvin College is still here. There is a massive Reformation Wall Monument at the University of Geneva that stretches 325 feet and depicts leaders and events of the movement. The International Museum of the Reformation traces the history of Calvin’s movement through objects, books, paintings and audio-visuals. It is housed in a historic 18th century building on the site of the cathedral where the Reformation was voted for in 1536. A passageway connects the museum to the archaeological site under St. Peter’s Cathedral. A self-guided tour takes visitors to these sites. A map is available at the museum. Explore the rich history that Switzerland has to offer. With so many influential religious leaders who made their homes in Switzerland, there is lots to see and plenty to do. Nicknamed the Queen City after Queen Charlotte (wife of King George III), Charlotte, North Carolina draws religious group travelers to see its many attractions. And with more than 700 churches and temples all around the city, religious travel groups will not have a hard time finding a place to worship.